Just putting in a note; I am looking for some grips for an English bike; I've seen the kind of grips before, they are less than 4 inches long, maybe 3 and a half inches and do not really have ribs in them. the handle itself is almost reminiscent of a Roman or Greek pillar if that is understandable with columnar type indentations. Just adding in, I will gladly pay a fair value for them. Used is fine. Seems to me this came up in the Roadster group a year or two ago and someone was making repros. I suggest searching the discussion archive of the three-speed gurus. The bike is in great shape, some of the chrome is pitted and there is a little paint missing on the top right side of the front fork. I'm sure it will be a great project bike for someone. I'm not sure of the value, so I'll entertain offers. Looking for a 36h Atom Front Drum Brake Hub in great condition, Top dollar paid. 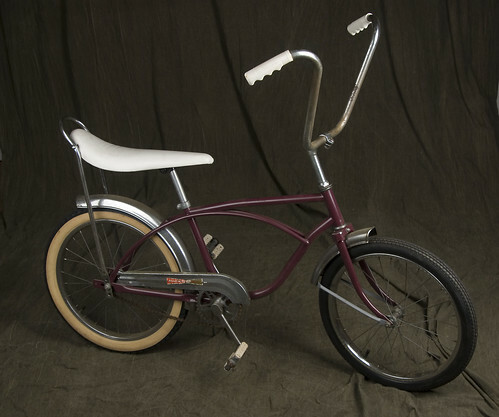 Also need a 68' Schwinn 3-speed Stik Shift also in really great condtion. Any help appreciated, these are the last parts I need to finish my project. I have a Hercules Tourist with serial number PO 3414 stamped on the rear dropout. There is no date one the Hercules 3 speed rear end. It has a brass Hercules head badge. Any idea of the vintage of this bicyle?? The early ones, pre-war, had the shifter mounted on the top tube. After 1960, according to Sheldon Brown, they were part of the Raleigh conglomerate and would have had Sturmey gears when the Hercules-made ones ran out. The Hercules hub used a threaded driver, which Sheldon says is prized for making hybrid gearing.